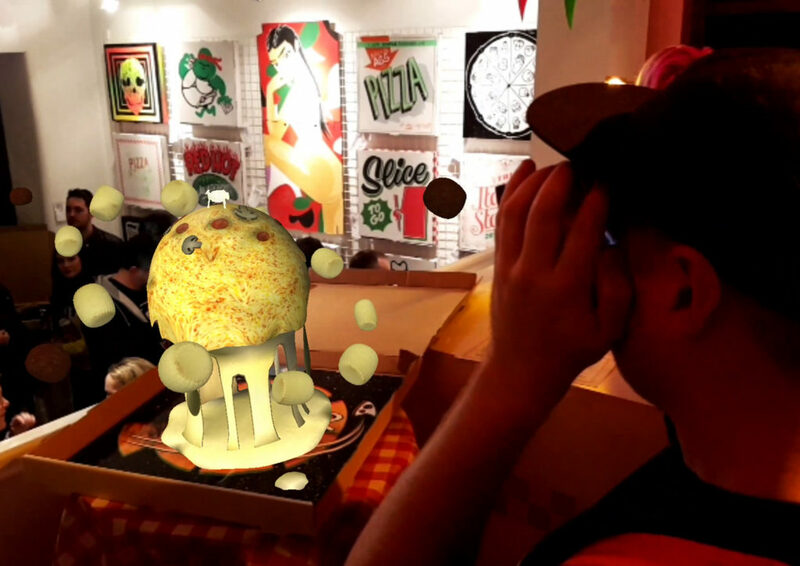 Zubr VR created this interDOUGHmensional slice of AR for the launch party of Maya’s local food review platform, Mmmyum. 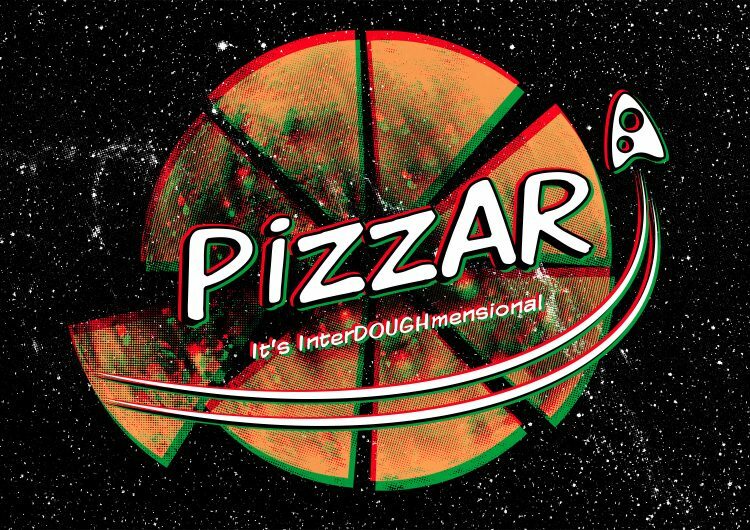 Planet pizza rises from the box with orbiting dough balls and a tiny pizza stopper lunar lander. 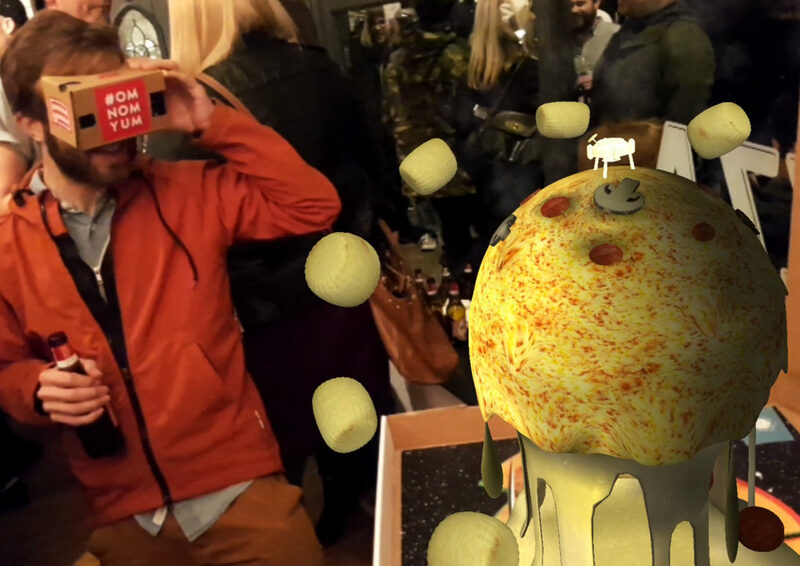 A fun slice of augmented reality for the launch of Maya’s Mmmyum. A new platform to help encourage everyone to explore their local independent food & drink outlets. Keeping things accessible and down to earth, we chose to implement the experience on Google Cardboard.